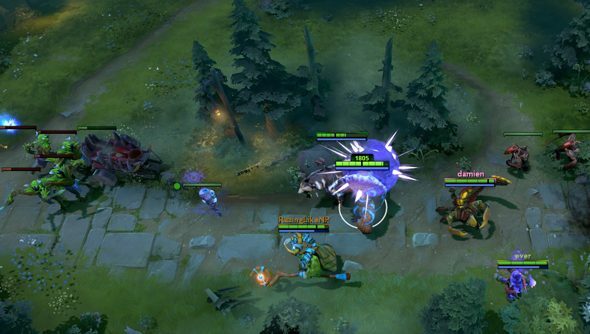 Beyond the Summit was formed less than a year ago by two Davids – GoDz and LD – to bring Dota 2 tournaments to Asia, which at the time was dramatically underserved in the event department. The pair managed to scrape together enough cash to fund Gigabyte Dota Masters, and have since done very well for themselves, broadcasting and organising events to over a million and pushing their coverage into Europe and the US. Now they’ve asked their community if they’d be so kind as to fund an LA studio for the duo to work out of. And the answer has been a big, expensive ‘yes’. The $25,000 goal already funded at IndieGoGo will be transmuted into furniture, lighting, computers, monitors, microphones, mixers, soundproofing, painting, ventilation and networking – not to mention travel and relocation costs, as GoDz and LD currently live elsewhere. The cash will also help to bring in “more talented community members to step up our production value” – namely video editors, graphics designers and co-casters. Money raised beyond the goal – of which there is already more than $4000 with 28 days left on the clock – will go towards funding Beyond the Summit’s first organised studio event. Should the team muster $50,000, they’ll host an “compelling and concise” online invitational to bolster the professional scene in the Asia-Pacific market. With $100,000, they’ll fly in four top teams from three continents for a LAN battle at the end of the year (“Think Homestory Cup, Dota style”). Have you pitched in for Beyond the Summit’s LA broadcast-pad?